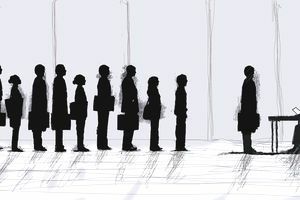 Unemployment isn't a funny matter for the economy or the millions of unemployed job seekers around the world, but that doesn't mean that those who are out of work have completely lost their senses of humor. Sometimes a fun or funny quote about not working or even underemployment is just the thing to prompt a much-needed smile and offer a refreshing pause in the middle of all the stress. "The number one sign you have nothing to do at work: The 4th Division of Paperclips has overrun the Pushpin Infantry and General White-Out has called for a new skirmish" - Fred Barling in "Humorscope"